For the thrill of the hunt. "Nothing like it has ever been on Earth before. It came from another planet for the thrill of the hunt. It picked the wrong man." 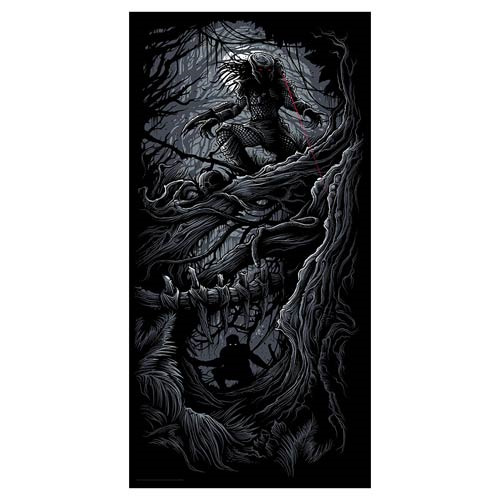 From the mind of artist Dan Mumford comes an interpretive take on 1987's Predator. This sinister print is a limited edition of 250 pieces featuring the artist's signature. This unique piece of art utilizes silver metallic inks and measures approximately 12-inches x 24-inches.